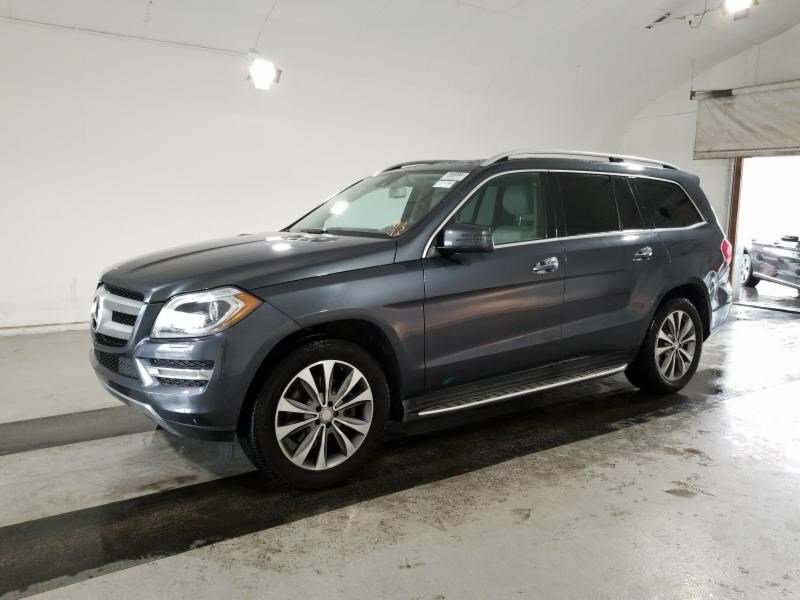 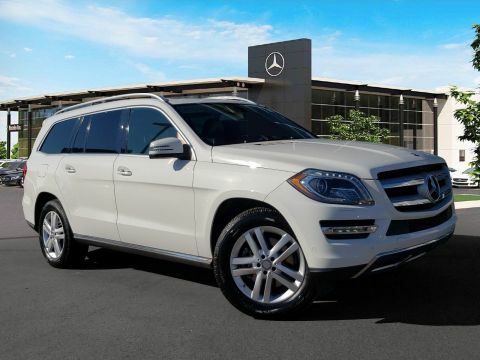 Certified Pre-Owned 2016 Mercedes-Benz GL 450 4MATIC. 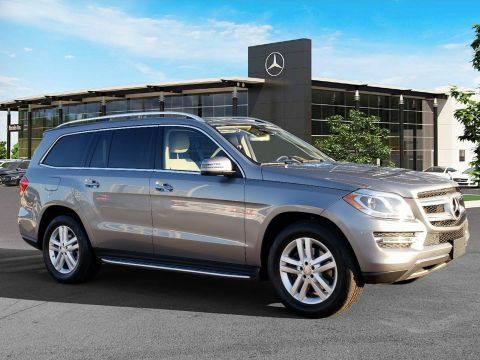 Steel Gray Metallic MB-Tex with Gray/Dark Grey MB-Tex with Anthracite Poplar Wood Trim. 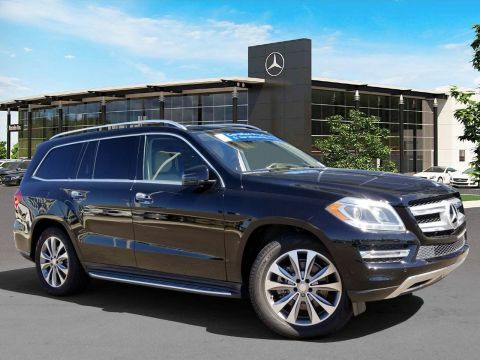 Equipped with Premium 1 (KEYLESS-GO, COMAND Navigation, Heated and Cooled Seats, Power Passenger, Power Folding Mirrors), Lighting Package (Bi-Xenon Headlights w Active Curve, Adaptive Highbeam Assist), Appearance Package (Chrome Exhaust Tips, 20" Twin 5-Spoke Wheel), Lane Tracking Package (Blind Spot Assist, Lane Keep Assist), Parking Assist Package (PARKTRONIC, Surround View Camera), Illuminated Star, Wheel Locking Bolts, Harman Kardon, Pre-Wiring for Rear Seat Entertainment, Heated 2nd-Row Seats.